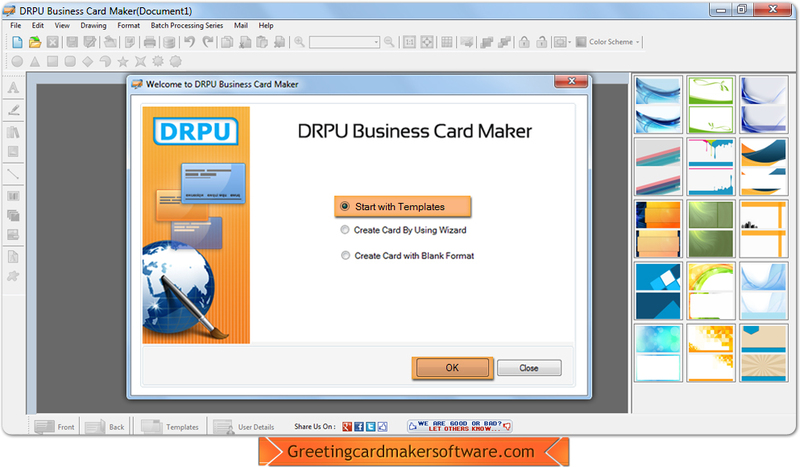 Business Card Maker Software Screenshots helps to understand our software working functionality that help you to run business card maker software to create any type of business cards for your industry. 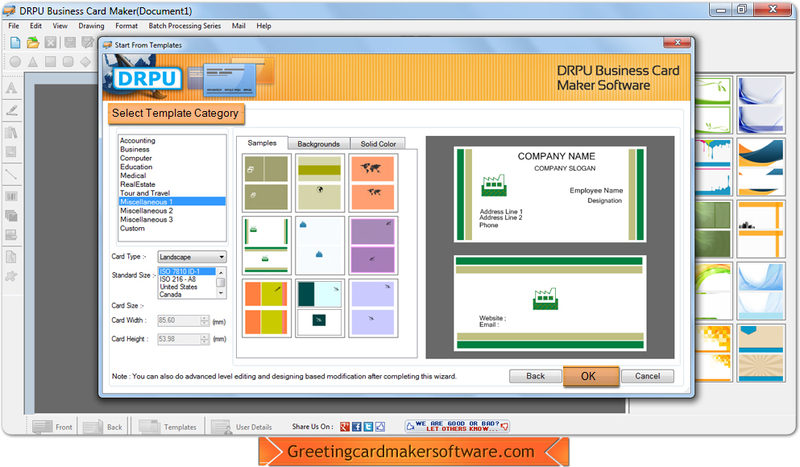 Run Business Card Maker Software and choose template format. 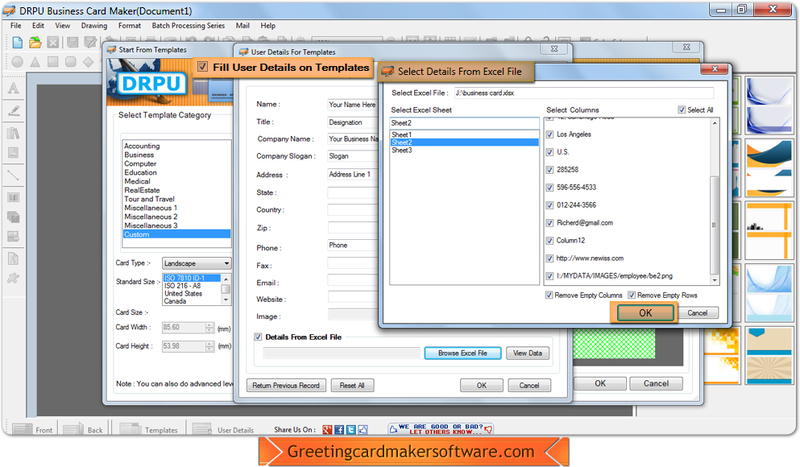 Fill your details on template or select Excel file for details. From this window select category, sample, background and color as per your needs.